Custom designers of fine Jewellery & Diamonds in the Greater Toronto Area. We provide high end jewelry at the lowest prices in Toronto. Let Lucio's Gold customize your unique Toronto Engagement Ring! We will even divulge some engagement proposals from prior customers so you may put your twist to them! You will be wearing the Wedding Band for the rest of your life! Lucio's will customize your Wedding Band to match your love for each other. The only thing you will need to worry is organizing the vendors!! Lucio's provides a multitude of Toronto Jewelry Repair services to ensure your Rings, Necklaces, Bracelets etc.. maintain their original value. Lucio's Gold is a Toronto Family owned jewellery store which has been providing the Greater Toronto Area "GTA" with unique high quality jewellery for the last 30 years. At Lucio's Jewelry wholesalers you're never treated as a number, we believe in building a relationship with our customers is the reason all our Toronto customers which have bought engagement rings from us have been coming back over the years to buy their loved ones new high quality necklaces, watches, bracelets, rings etc..
All of Lucio's Gold Diamonds are hand picked and only the stones with the highest quality cuts are bought. 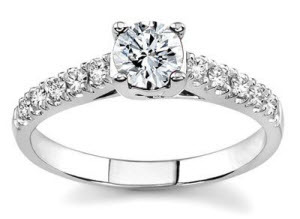 We will spend as much time as you need to educate you on the different qualities versus costs for all our jewelry. 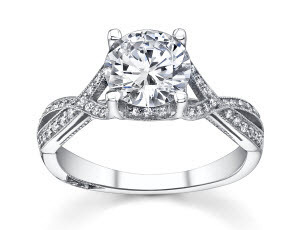 Why buy a "cookie cutter" Diamond Engagement Ring when we can customize an engagement ring or wedding band to be as unique as your love for each other FOR LESS!! We encourage all our customers to shop around, we live in an age where everyone is walking around with their smartphone (Blackberries, Iphones etc..) and are able to view the different Toronto jewelry stores online and costs at the palm of their hand and being consumers we all want to find the best value for our money. Once you've shopped around come back to us so we may show you how much those "other" Toronto jewelry stores have been over pricing their products!